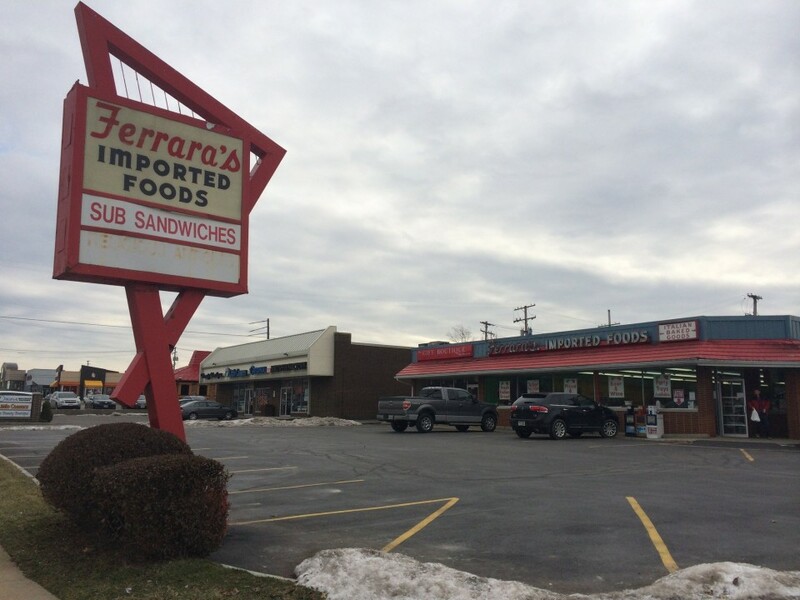 Ferrara’s has been selling Italian bread, meats, cheese and more to East Side Clevelanders since 1959. You walk in and you definitely feel you are surrounded by Italians. One gentleman even held the door for me. 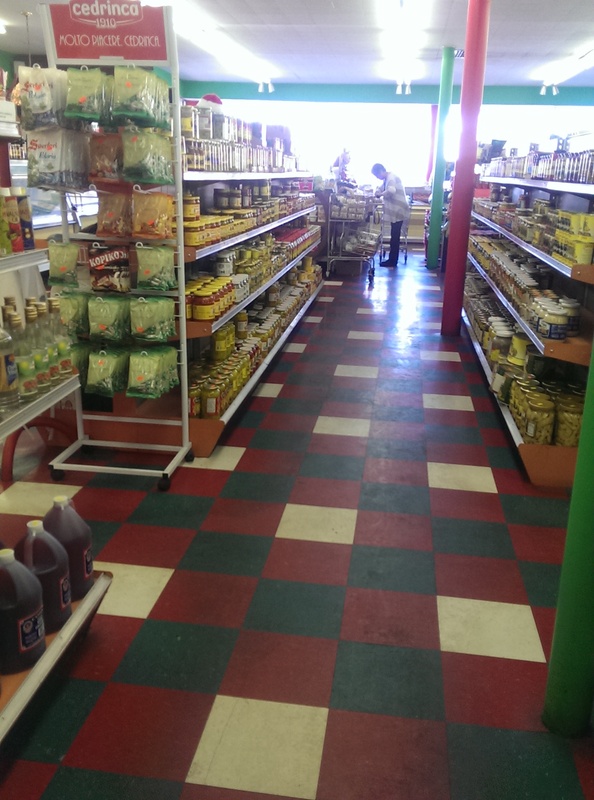 This place has everything you need – from fresh garlic and tomatoes to espresso makers and huge pasta bowls to serve your family delicious pasta. I wandered the aisles just amazed at the wide variety of item s they sold. They had canned San Marzano tomatoes, every variety of olive oil and vinegar you could imagine, balsamic vinegar ketchup (! ), blood orange soda, fresh pasta in a low-slung refrigerated cooler, dried pastas in every shape and form, as well as prepared foods such as Sicilian pizza, pasta and antipasti salads, and made-to-order submarine sandwiches. Since my friend who told me about Ferrara’s recommended their sandwiches, I went there with the intention of ordering an Italian sub. The sub was loaded with thick-sliced Italian cold cuts (capicola, (Genoa?) 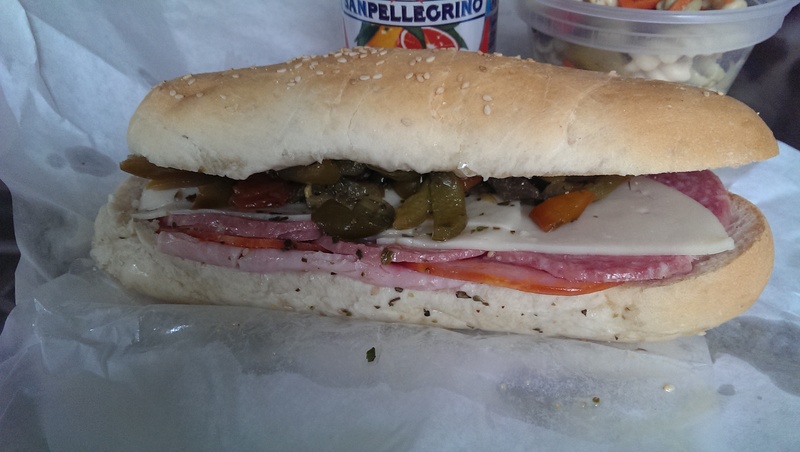 salami and I think ham), provolone cheese and your choice of hot or sweet peppers. I went with the sweet peppers and it was oh so good! They make their bread rolls there, and you can tell at first bite just how fresh the rolls are. I don’t know what they do to the peppers, but they are extremely addictive. Some people also suggest having the top of the bread dipped in hot oil. If you want a different sub than the Italian, you can choose from Italian Beef, turkey, roast beef, veggie, prosciutto, and ham and cheese or you can make your own creation. 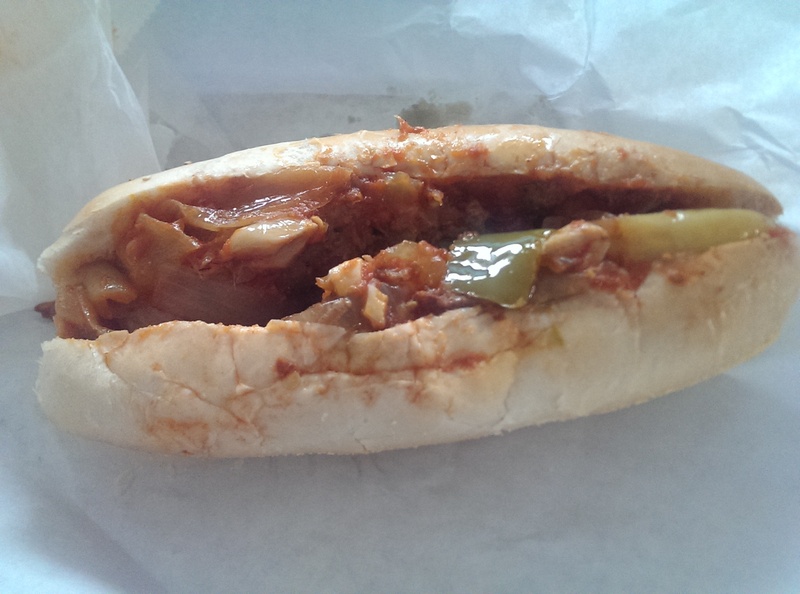 They also sell hot subs like sausage sandwiches, meatloaf subs, and meatball subs for $5.50. The sausage sandwich (pictured to the right) comes with peppers and onions and has a nice heat to it. It may not look appetizing in the photo, but it was really delicious. I bought some Sicilian pizza for my Italian translator friend who had lamented about the lack of Sicilian pizza in Cleveland, and she was absolutely thrilled with their pizza and its authenticity. The pizza is not in slices – but thick slabs of dough covered in a thick tomato pasty-like sauce. There is no melted cheese – just some sprinkled Parmesan. It is served at room temperature. Just be warned that they only accept cash or checks. They have an ATM in case you forget, and from personal experience I can tell you that the fee is lower than most regular bank ATMs.